I have the pleasure of interviewing fellow Australian, Lauren Chater, today. I’ve known Lauren for some time and am very proud of her success with her debut novel, The Lace Weavers. Lauren writes fiction with a particular focus on women’s stories. After working for many years in a variety of media roles, she turned her passion for reading and research into a professional pursuit. In 2014, she was the successful recipient of the Fiona McIntosh Commercial Fiction scholarship. In addition to writing fiction, she established The Well Read Cookie, a blog which celebrates her love of baking and literature. She lives in Sydney with her husband and two children. 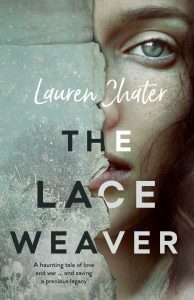 The Lace Weaver, her first novel, was published by Simon & Schuster in April 2018. She is currently working on her second novel, Gulliver’s Wife. 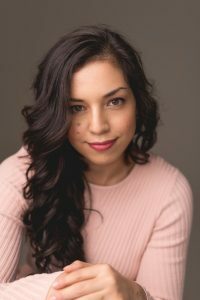 You can connect with Lauren on Instagram, Facebook and Twitter. The Lace Weaver is available on Amazon or via her website. 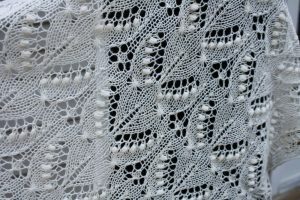 I was inspired to write my debut novel after stumbling across a book on handknitted Estonian lace in my local library. That serendipitous moment prompted me to travel to Estonia and Russia to research more about the histories of those countries and I was able to use what I learned there as the basis of my story about the oppression of the Baltic people under Stalin’s communist regime. I’m constantly inspired by (and in awe of) other authors. 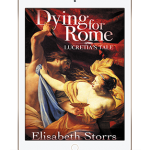 I love the way Geraldine Brooks melds fiction with fact and I can’t go past Tracy Chevalier, but I’ve also discovered many wonderful new historical authors recently, like Sandra Leigh Price and Jim Crace. When I wrote The Lace Weaver, I was interested in exploring whether the lace shawls (which are such a big part of Estonia’s cultural identity) might have been used as a way to preserve traditions during the fraught occupation of that country by first the Russian Soviets and then the Nazis. As I became more invested in the research, other ideas presented themselves and other questions surfaced. I tried to follow them to their natural conclusion without tampering with history too much. Is it ridiculous to say that all history interests me? Every era has its zeitgeist and aesthetic and that’s completely fascinating to me. I love the idea that so much can change within a generation or two, yet in some sense, people are always concerned about the same things; births, deaths, war, work, spiritual afterlife (or lack thereof), government, politics… The past is a vast, never-ending source of rich material, especially for writers. I’m particularly interested in shining a light on women’s stories, as I feel their experiences have been overlooked in favour of projecting the usual male narratives. While researching The Lace Weaver, I read lots and lots of books, not only memoirs and life-stories written by people who have lived through WW2 and its aftermath, but ethnographic studies and research papers by academics who lived there. Those were helpful as they really gave me that outsider perspective and illuminated aspects of life (for example, religious or belief systems) which people living within the Estonian culture perhaps took for granted and didn’t bother to write about. I also read fairytales and poetry, conducted interviews, watched documentaries and then I travelled to Estonia in 2015 to conduct on-the-ground research. Going to Estonia was probably the most useful in terms of getting to know the geography, the layout of towns and forests, the seasons etc. It took me around two years to finish the novel from when I first started researching it, and then another six months of editing with the publisher. My favourite phrase when writing is, ‘what’s that thing called?’ It’s like a game I play with myself every day although it’s absolutely infuriating and unpleasant. If I can’t think of a word, I usually type the closest word I can think of into thesaurus.com and then I flick through, narrowing down options until at last it appears. I used to put a lot of XXXX in my manuscripts and tell myself I would return later, but now I force myself to actually finish the thought and commit the idea to the page. Otherwise I can’t be sure if what I’m trying to say is worthy of being there. I’m pretty boring, I’m afraid! Nothing quirky here. I do like to get myself settled with a cup of tea and a bottle of water before I get to work (and if it’s winter, I’ll fill up my hot water bottle and pop it on my lap, because I’m sooky and hate being cold). I have used Scrivener for storing research but I like to write in Word. I don’t know why, it just feels right to me. I would long to write long hand but it would take me about fifteen years to finish a novel. I write really slow and suffer hand cramp. Did I mention I’m a bit sooky? I love art galleries and could happily spend all day wandering around in them. Unfortunately, I have two small children so if we do get to a gallery, it’s usually more of a sprint through to the restaurant or the outside cafeteria. I remember going to see the Renaissance exhibition at the National Gallery in Canberra when my son was two; we’d just paid for all our tickets and he started screaming the house down. So my husband took him outside and I got to wander alone through the Raphael’s and Botticelli’s, admiring that exquisite ultramarine blue. It was bliss. I’ve always loved the Pre-Raphaelite artists and have many framed prints of their work on my walls. I would give an aspiring writer the same advice I give myself; don’t make excuses, just do the work. Don’t be afraid of going to dark places in your writing. Let the words be your joy, resist the temptation to rely on outsiders to validate you, because that way lies disappointment. Read as many books as possible and form genuine connections with people who share your passions. Be kind and encouraging to other writers and don’t let professional jealousy destroy your sense of worth. Be your own cheer squad. All those things! I’m currently finishing off my next fiction novel, set in 17th century London. Titled Gulliver’s Wife, it’s the story of Lemuel Gulliver’s long-suffering spouse, Mary Burton. She’s a midwife and herbalist whose life is turned upside down when her husband returns home, babbling about a small island of tiny people he has found. Is he mad or simply ill? Mary has to set off on her own journey of discover to find out. The Lace Weaver sounds fantastic. Thanks for the chance to win a copy. I love historical and particularly those that try very hard to stay as close to real happenings as possible. Sounds fascinating! I like the writing advice; I’ve always wanted to be a writer and have found a million excuses… And I learned a new word–sooky! Fascinating. I am actually thinking about writing a novel that has its origins in Estonia in 1939. My family comes from Pärnu! I would love to read this book. What an interesting woman! I loved learning about her processes on gathering information and writing her novels. I can’t wait to read this one. This sounds like a book that’s up my alley. I just find it so fascinating, probably because it was such a different time compared to how it is now. Thank you so much for the chance to win a print copy sounds like a wonderful read would love to win! What a wonderful book! I can’t imagine the time and patience involved in making lace, but I have some my grandmother made. Thank you for the chance to travel to another time and place.